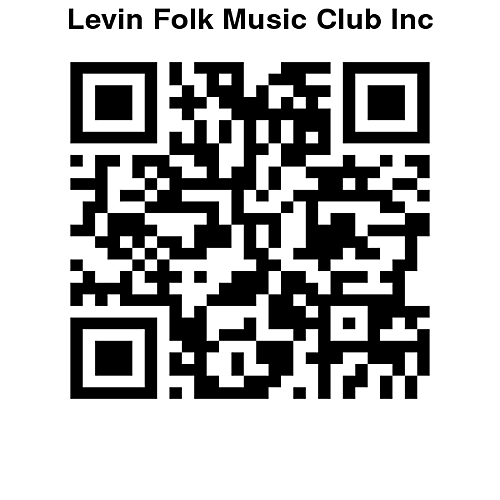 The Levin Folk Music Club started approximately 25 years ago and became an Incorporated Society in 2011. Our financial year runs from July 1st to June 30th, with our AGM in July or August each year. The committee are also grateful for assistance from members to facilitate club nights and hope you will participate on a Volunteers Roster. Please feel free to contact Jean Hollis to offer any help. Set up of the hall is done at 4pm Friday and some extra helpers would be wonderful. Our venue is a local hall with easy access and ample parking. Table seating with candles, a light supper and occasional home baking, create a warm welcoming atmosphere. Audience varies between 50-90 people on our club concert night. The concert night format (2nd Friday each month, except Dec/Jan) starts with an open blackboard concert with a broad range of acoustic/folk music for the first half, then supper at 8.45pm, followed by a high quality guest performer or band (usually from outside our region) until approximately 10:30 pm. There is only one item per blackboard slot, unless on the night and when asked by the compere, a second item may be performed. Anyone wishing to perform can give their name to the compere from 7 pm onwards. A sound system and sound technician is available so no sound gear is required. On occasion, there is a 15 minute Member Floor Spot scheduled to spotlight performers from within the Club. Club Night (4th Friday each month except December/January) is an informal sing-around, a great night to show off a new song. A light supper is provided – gold coin donation – all welcome. Our club nights are open to everyone and membership is optional – however there are benefits to becoming a club member, including lower entry prices, member’s jackpot and reciprocal membership entry to other folk clubs. Membership forms are available in our Downloads section. Come just to listen or to perform on the blackboard as well. You are assured of a warm welcome. Our current constitution is available from here.